Amerelle Wallplates do more than just cover electrical boxes. They are an easy and inexpensive way to add a decorative accent to any room in your home. 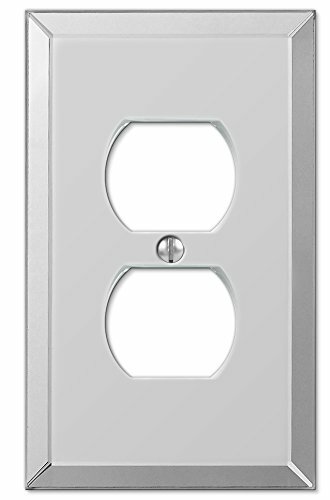 The Amerelle 1-Gang Mirror Duplex Wall Plate is great for using along with a mirror backsplash and complementing crystal and glass lighting fixtures. This wall plate is made of acrylic.